Professional Videography services for the Greater St. Louis area and beyond. * Media Flash Drives, Hard Drives, and DVDs are subject to sales tax. * * Drone use is subject to weather conditions and/or restrictions of air space. (i.e. close proximity to airports or military installations). Lodging and transportation are not included in these packages. Please inquire for quotes on specific locations. Packages are sold as discounted bundles. We understand that sometimes a "list of items" just doesn't cut it. That's why we wanted to not only give you a brief explanation of our products but also show you a few real examples from our couples. Our DVD cases are made with one of the finest printing papers, this Classic Felt press paper has a luxurious feel and smooth finish, producing a high-quality, timeless option for press products. It is an acid free, archival and Forest Stewardship Council certified paper and it includes your name, as well as a couple screen grabs from your videos. All additional DVDs are $100 each. This is a compilation of every single audio and video file as it happened - no cuts or edits. You can reuse the footage for whatever and whenever you want. 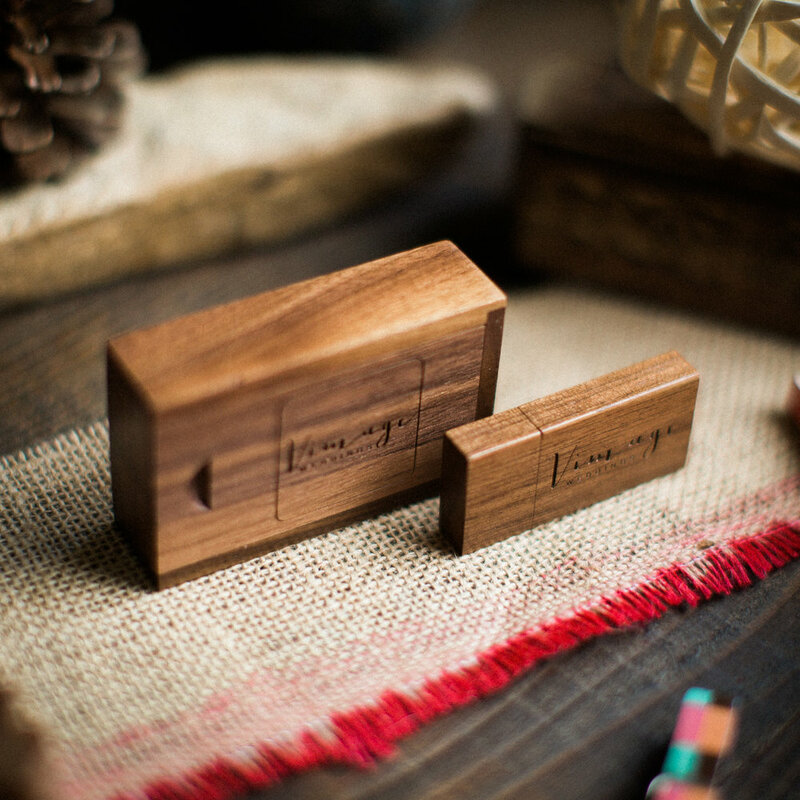 All in high definition for you to keep forever, delivered in a USB 3 hard drive and a beautiful wood case. This also includes any licensed music, media or project files used in the making of your films. 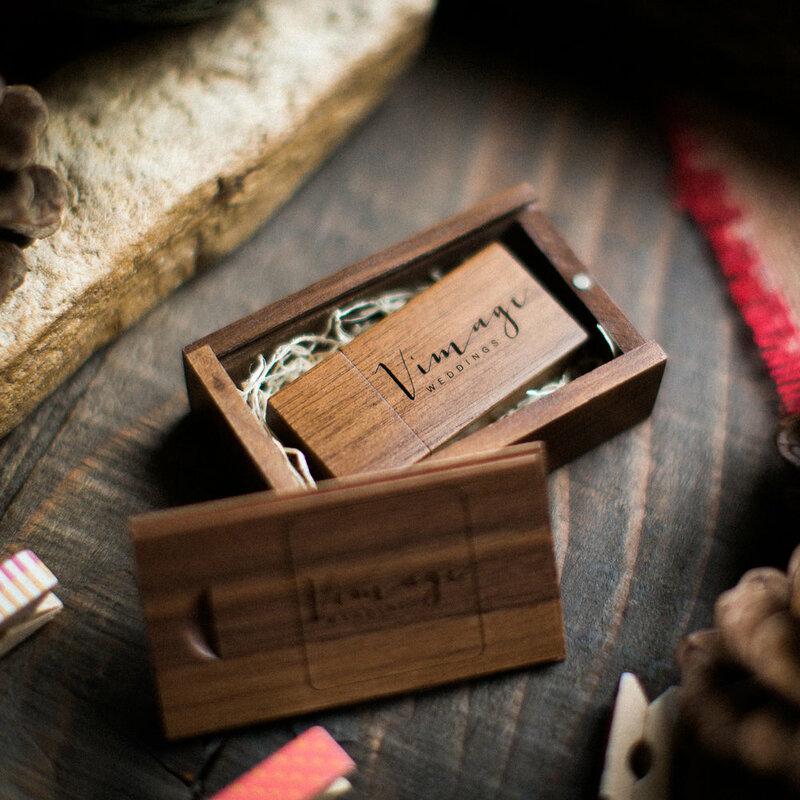 Made out of premium walnut wood, our engraved USB flash drives come standard in a luxury-style package with a capacity of 32GB per unit. Clients requiring more storage are automatically upgraded to hard drives. Walnut wood is rated very durable in terms of decay resistance. These are great to share all your edited films as the perfect gift for family and friends. Click on image to expand. 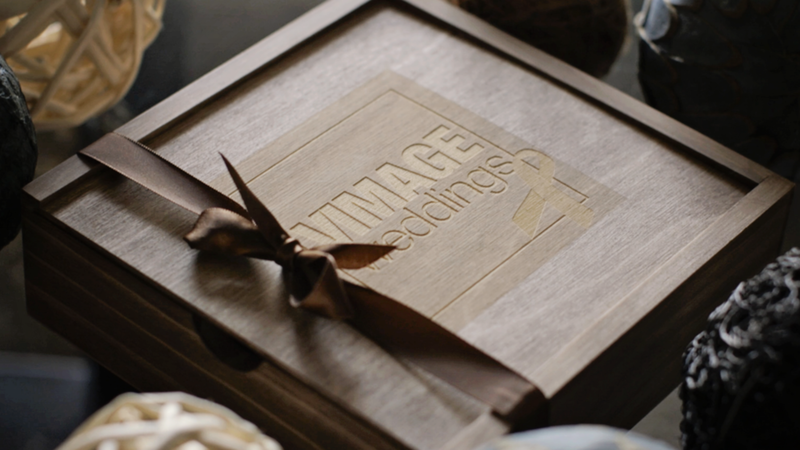 Our teaser trailers are licensed cinematic one-minute pieces delivered just a week after your big day. These are ready to share with the world. Have you ever watched an award presentation on TV? Your ceremony and reception are edited in a multi-camera setup in chronological order - just the way it happened. 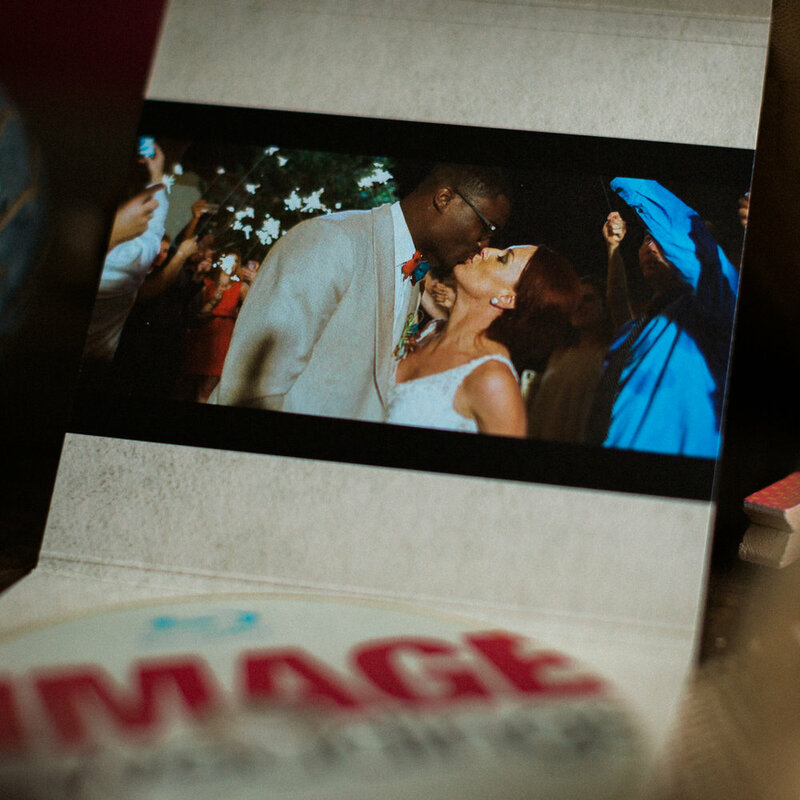 Relive and share those special moments with your family and friends with a Same Day Edit film. We will present a fully edited 3-5 minute piece to be shown during your reception for the joy and envy of your guests. Our feature film is a 15-20 minute piece edited in a cinematic style but unlike our highlights, features are aimed at close friends and family and we do not make these films available for public viewing. These are pre-produced pieces that tell specific stories. Believe us when we say there's no idea too crazy. Together, we will develop the concept of this film. Our team then starts the pre-production process in which details are planned. 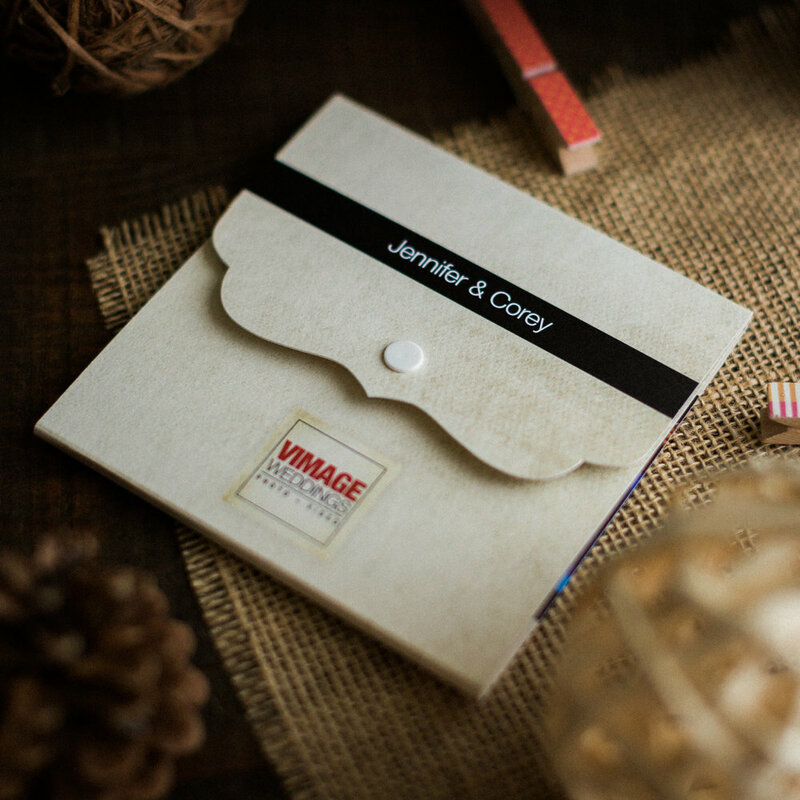 Love stories are also known as "How We Met" or "Save The Date" films and are usually presented at the reception right before our couples make their grand entrance. Don't forget to take a look at our sister company Le Blanc Photo Booth. We have put together a very elegant, modern and super fun open air photo booth that not only offers professional quality images but also, comes with social media sharing, multiple backdrop choices, and looks beautiful in any venue. Don't take our word for it, give it a look and let us know if you have any questions. We offer a special discount when video and booth are booked together.